Wow love it. Love all the color combos. I can't wait to dot little girl but everything is black I will have to use some bling! I love the title you created with the negative, that gray looks great! What an adorable photo. That page is adorable! Love the pastel colors! very nice she look like she all dressed and ready .. love the pink tutu.... thanks for sharing. Beautiful! 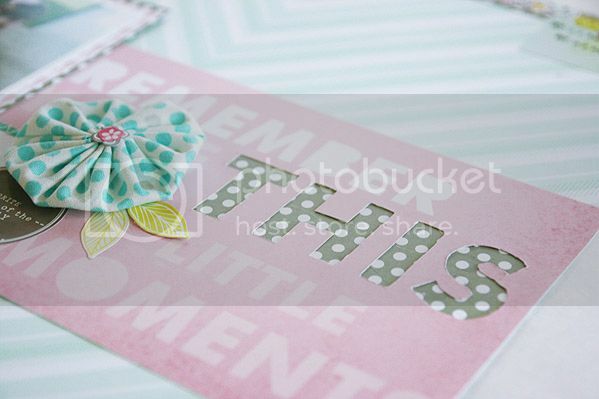 I love the polka dot paper peeking through your cut-out letters, and the fabric yo-yo is such a pretty addition! Awesome layout. I just ordered the Dear Lizzy papers I was holding out for a collection,but not seem to be out yet. So beautiful Mary Ann!! I love the way you did your title on this and the little cluster with the soft flower is so pretty! 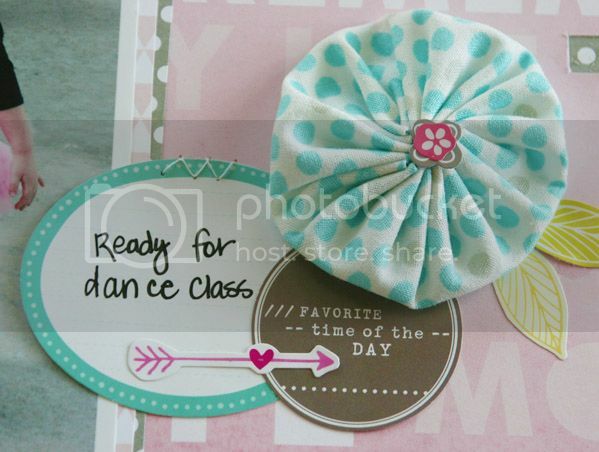 The yoyo flower is so sweet and the layout is fabulous! The reverse lettering on the title is just perfect!